The NPQ Newswire has previously written about Madonna’s on-again, off-again commitment to build a school for girls in Malawi, which was followed by an IRS investigation of the Kabbalah Centre in Los Angeles that was the singer’s partner in the event. The plan had been to spend $15 million constructing the school, but last spring, some $3.8 million had been spent by Madonna’s Raising Malawi charity without any construction happening. At that point, the construction project was shut down, purportedly while things were righted. The Associated Press now reports that the school project is over and the $15 million committed to school construction has been replaced by a $300,000 grant from Raising Malawi to an NGO called buildOn which will “develop 10 schools…[that will] serve about 1,000 boys and girls in the southern African nation of 15 million that is among the poorest in the world.” How $15 million for one school translates into $300,000 for 10 schools isn’t clear, but Malawi officials aren’t happy with the surprise change in plans and say they were left out of the planning. Trevor Neilson of the Global Philanthropy Project, identified as Madonna’s adviser, told AP that it wasn’t true that the partnership with buildOn was a surprise for the government, pointing out that six government officials attended the Raising Malawi contract signing with buildOn. AP reports that Neilson “stressed Madonna remained committed to helping children in the country, taking a new ‘community based approach’ by working with buildOn.” Another group, an organization caring for orphans and vulnerable children called Consol Homes, also said that it had been defunded without explanation by Madonna’s foundation, but Neilson said that funding is continuing through the middle of the year, but that there were “major concerns” about the performance of Consol’s management team. Three aspects of this story strike us as particularly interesting. First, what happened to the Kabbalah Centre? 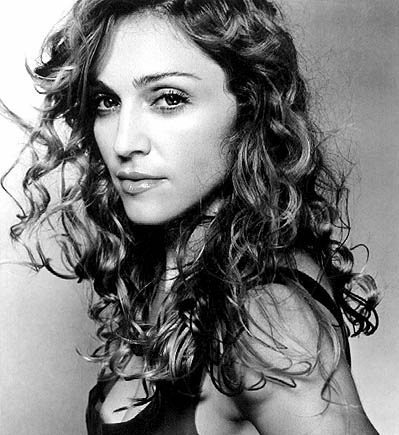 It was Madonna’s partner with some of the grantmaking and the real estate. We raised questions about it last spring and summer. Where did the money go? Where did the Centre go? Next, how did the philanthropic auditor, Global Philanthropy, become the philanthropic advisor? Madonna hired Global Philanthropy last to “audit” the staff of Raising Malawi, who it seems had been a little rambunctious in spending money for things that weren’t quite along the lines of helping kids in Malawi. How Global Philanthropy moved from auditor to advisor in this situation is interesting to be sure. And lastly, Madonna’s shift here is a bit like the disappointing results and eventual program shift of Oprah Winfrey, who reportedly spent $40 million on a school for girls in South Africa, only to determine that it wasn’t a sustainable model. These little, one-off educational ventures by celebrities in Africa seem to miss the importance of better, systemic assistance for literacy and skills—and teacher training—throughout those nations’ school systems. One-offs by Oprah and Madonna sometimes don’t get much above zero.